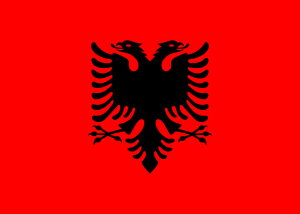 Albania competed at the 2001 Mediterranean Games held in Tunis, Tunisia. This article "Albania at the 2001 Mediterranean Games" is from Wikipedia. The list of its authors can be seen in its historical and/or its subpage Albania at the 2001 Mediterranean Games/edithistory. Articles copied from Draft Namespace on Wikipedia could be seen on the Draft Namespace of Wikipedia and not main one. This page was last edited on 15 March 2018, at 17:15.